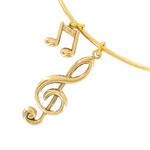 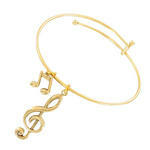 Measurement: Circumference approx 8" Diameter 2.75" Charms 0.5" and 1.375" x 0.5"
Gold tone bangle bracelet with music notes and treble clef charms. 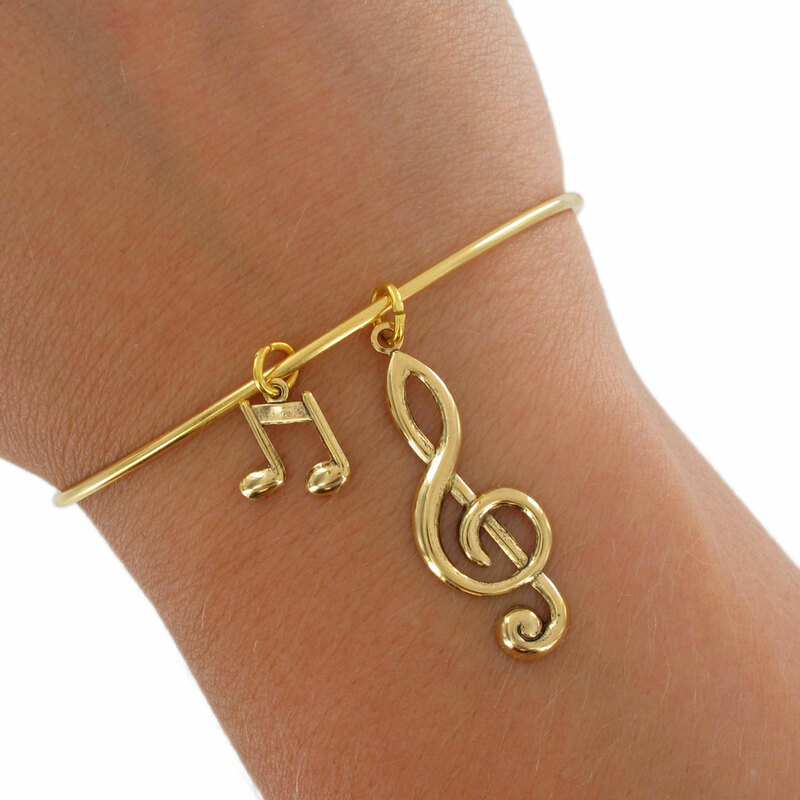 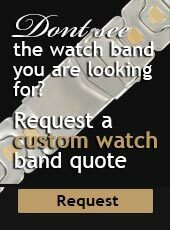 Great recital gift idea. 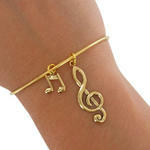 Bracelet made in the USA.